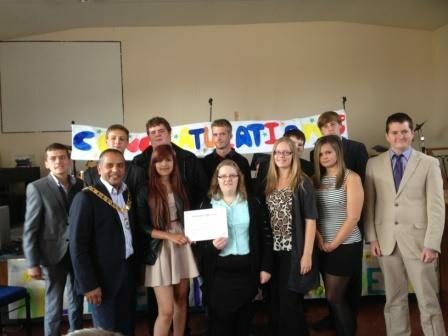 On the 30th of June, the Mayor of Dartford attended a celebration of achievement, whereby he rewarded selected recipients with a certificate, commemorating their achievements. This reward-presenting took place at the All Directions Baptist Church. The first event attended by the Mayor this month was a picnic day arranged and held by the charity 'Just for Grown Ups'. The intention for the day was to give the people within the charity a reason to get out of the house and have a bit of fun, and this intention was certainly fulfilled. Later on in the day, the Mayor was happy to collect a knitted bouquet from Clair Hollister at a raffle. As with many raffles, the point of this one was to raise both money and awareness for the needs of those who need the most help. On the 2nd of July the Mayor attended a Dartford networking breakfast, the purpose of which is to help local businesses to network, in doing so building up their contacts and giving their businesses more strength. Later on in the day, the mayor attended the Bloodhound Engineering Project at Wilmington Grammar School for Boys. The Bloodhound is the land vehicle currently holding the land speed record, and the idea for the program is to inspire the new generation of scientists and engineers. 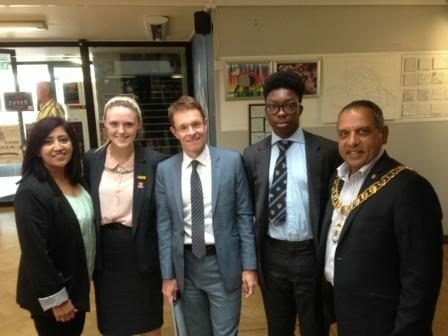 Along with his wife the Mayoress and Councillor Patsy Thurlow, the Mayor Attended the Lawrence Blundell lecture - which was given by Andy Street, who is one of the Managing Directors of John Lewis. Later that evening the Mayor attended the Bexley and Dartford Samaritan's Annual General Meeting, whereby much of the group's future in the next year is decided. On the 3rd of July, the Mayor started off by visiting the Dartford community services art and photo exhibition. The exhibition's purpose was to present some of the excellent works made by some of the adults with learning disabilities in the Dartford area.